Why is Jade Ocean Condo So Popular? One of the reasons is it’s location. 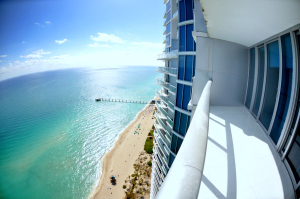 Jade Ocean is conveniently situated in the heart of Sunny Isles Beach on 171st Street and Collins Ave. It is just a short distance from all major attractions such as both airports – Fort Lauderdale and Miami, Downtown Miami, South Beach, Bal Harbour and more. All this translates into great lifestyle – being on the beautiful beach in the morning, enjoying great lunch atmosphere in downtown Miami in the afternoon and of course the best night life South Beach has to offer at night. Jade Ocean Condo has such an aesthetic design and an appeal that anybody would like it. The exterior of the building is visually stunning because it is all glass ultra-modern structure, 55 stories high and the appearance of this building is one of the things that initially attract a larger number of potential buyers to the property. One of the most innovate features is the smart home technology that this building and is offered to everyone. What is this smart home technology? This home technology brings a lot of effortless conveniences. For example, you can find your concierge, valet, control the home’s lighting from your Smartphone. In-home touch screen accessibility will serve your all purposes. Just download an app to your phone or tab, so you can access these services even while you are away from the building. Living here will give a feel of living in future! If these features of this Jade Ocean Condo are reasons for it’s enormous popularity, these same reasons are driving the sales and the prices up every year as well. Besides smart technology, Jade Ocean Condo offers many fantastic amenities. Infinity edge pools all around the building, feature an amazing three-story lobby which will be offering great views of the ocean, besides 24/7 security, valets on duty around the clock! There are more amenities than these only, such as you will get a private beach club which will be having cabanas, a café and even a splash deck for the little ones to enjoy. Though so many features standout, amenities, stunning location, and awesome aesthetic design of the building are there, property is just rightly offering a good value. There in the Sunny Isles are many other popular properties right now. That popularity wouldn’t also tend to diminish anytime soon. This is why property prices are quite high around here; all the same, this can’t stop property investors from buying them. Nor buyers are stopping from purchasing rightly valued property. In this rightly valued property bracket, Jade Ocean Condo for sale is included. Jade Ocean offers incredible state-of-the-art fitness center and a spa. This fitness center offers all latest equipment as well as professional trainers. There is also resident storage facilities, which even have air conditioning to ensure items remain in pristine condition. Do you find these features and amenities would fall short of fulfilling your expectations?